While you're checking your property for standing water, that notorious breeding ground for mosquitoes, remember to evaluate your gutters too. For many homeowners, summer means one thing: spending time outdoors. Whether we’re lounging on the porch or entertaining on the patio, the year’s warmest months bring ample opportunity for us all to get outside and have a little fun. Unfortunately, as much as we love summer, mosquitoes love it even more. Those hovering, stinging pests are nothing new. You may even view them as an unavoidable fact of life. And to an extent, you’d be right—it’s probably impossible to eliminate mosquitoes completely. That said, there’s a chance that, without realizing it, you’ve been allowing mosquitoes to breed and thrive on your property. 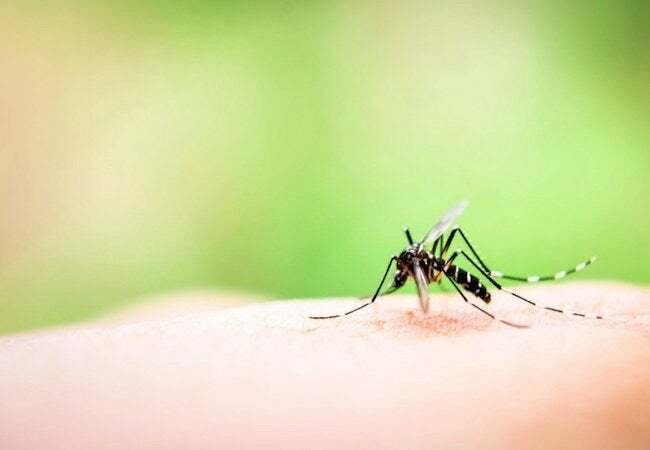 Blame the mosquitoes all you want for itchy bites and spoiled picnics, but you may need to accept some of the blame yourself—for a reason you may not have anticipated. While some species travel great distances, most mosquitoes stay within a few miles of where they were born. So the mosquitoes terrorizing your backyard probably didn’t come from down the block or the next town over; they most likely originated right under your nose. Knowing that standing water can be a breeding ground, conscientious homeowners take pains to cover their trash cans and stow away empty planters. But according to experts, it takes only about a tablespoon of water for mosquito eggs to hatch. If mosquitoes can multiply virtually anywhere even a tiny amount of water collects—a spare tire, for instance, or an overturned yard toy—then imagine the amount of breeding that could take place somewhere you actually expect moisture, and lots of it—your gutters and downspouts. Gutters exist to perform a single, critically important role: They capture stormwater and carry it a safe distance away from the home. In theory, it’s all simple and straightforward. But in practice, by virtue of their flawed design, conventional gutters are dogged by such things as fallen leaves and loose twigs. In time, that debris accumulates and ultimately blocks the free flow of water within the gutters. Once clogged, gutters become precisely the sort of damp environment in which mosquitoes rapidly multiply. The problem isn’t even confined to the gutters, because with nowhere else to go, rainwater usually ends up pooling on the ground, near the foundation. Besides being potentially damaging to the home, such pools create yet another prime breeding ground for mosquitoes and other pests. To be sure, mosquitoes are the most immediately annoying of the insects that hatch and thrive in standing water. But they’re not dangerous, at least not to your home. Carpenter ants and termites, on the other hand, literally eat through wood trim and framing, and both insects are commonly found, like mosquitoes, in clogged-up, debris-filled gutters. So there’s more than personal discomfort on the line; the same conditions that breed mosquitoes can breed the destruction of your property! In the past, twice-annual cleaning was the only way to keep gutters clear of debris and, by extension, pests. Indeed, so long as homeowners remembered the chore, and so long as they found the time and energy to do it, they could prevent gutters from creating infestations. But despite the critical importance of gutter maintenance, plenty of people dread and steadfastly avoid it. In part, that’s because the chore often involves the hassle—and danger—of climbing a ladder. Yes, there’s the option of paying a professional to handle the job, but for a twice-yearly task, the associated costs can really add up. 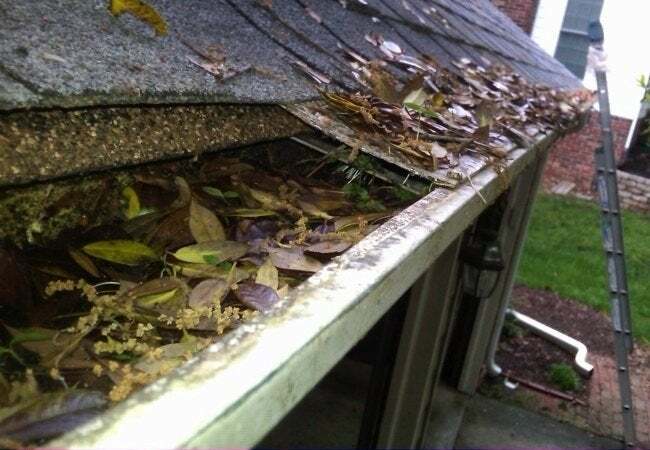 So, unwilling to do the work and unwilling to hire a pro, countless homeowners neglect their gutters every year, leaving their systems to develop clogs that cripple their functionality and allow pests to spread. Today, for those who’d prefer never having to think about gutters, there’s a get-it-and-forget-it solution that requires no maintenance at all. LeafGuard Brand Gutters feature a one-piece hooded design that deflects debris, keeping leaves, seeds, and sticks out of the system. Meanwhile, by the principle of adhesion, rain flows around the hood and right into the clear-running gutter. Thanks to their large bottoms and 3-inch-by-4-inch downspouts (30 percent larger than average), LeafGuard easily handles up to 32 inches of rain per hour—that’s more than three times the record rainfall measured by the U.S. Weather Bureau! 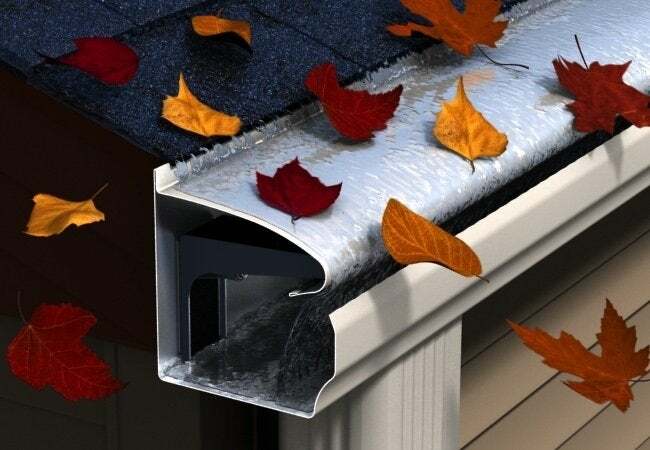 In addition, LeafGuard boasts exceptional strength and durability, thanks to the fact that it’s made from aluminum 20 percent thicker than the material commonly used in conventional gutter designs. Take a step toward banishing bugs from your backyard by ensuring that no puddles or pools form inside your gutters or around your home due to the fundamentally flawed design of your conventional gutters. LeafGuard Brand Gutters are typically installed in just one day, yet they last a lifetime, allowing you to say goodbye—forever—to gutter clogs and gutter problems.